Payment lies at the origins of money and a promise to pay still supports public currency. The Bank of England promises to pay…but what? 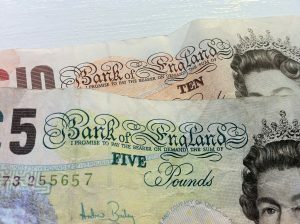 As if to reinforce the belief system behind government-issued money, Bank of England £5 and £10 notes still guarantee the bearer a sum of five or ten pounds on demand. But that promise became hollow some time ago. 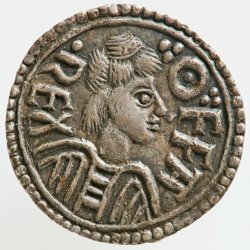 A pound in money originally meant a real pound of silver, a guarantee given by the eighth-century King Offa of Mercia (one of England’s Anglo-Saxon kingdoms). The pound sterling consisted of 240 of King Offa’s silver pennies. King Offa’s silver standard lasted around five centuries before England’s kings started to debase the currency. As usual, devaluations started slowly, then they accelerated. Those born after 1971, when the US government left the gold standard, have never known a system other than steady currency inflation. A pound of silver now costs around £145, compared to the 1:1 relation under Offa’s standard. But while devaluations have been taking place throughout history, payment as a technology has never undergone such dramatic and rapid change as in the last decade. A shift away from payment by cash and towards payment in digital form is accelerating, new ways of paying—by phone, by social media network, by smart cards—are proliferating, more and more payments settle nearly in real time, and banks are steadily being edged out of their historical role at the centre of the payments business. It’s a revolution likely to have profound socio-economic and political repercussions. In a series of articles, New Money Review profiles payment experts, technologists, entrepreneurs and those close to payments regulation. Could new payment technology help bring in a period of monetary stability and prosperity, like that of King Offa? Or could it signal a further lurch towards a dystopian future, with payments moving out of the heavily regulated banking sector and into the hands of data monopolies that already wield enormous power? Our payment series starts with an interview with technologist Dave Birch.